Welcome to jeepuporshutup.com's forum board. No whining, just wheel! » advertising for you vendors!! 6/26/2013, 9:17 pm by SUBARU? 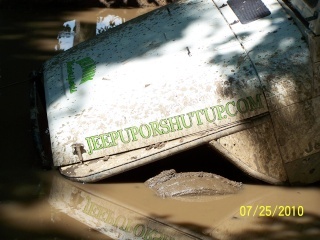 Introduce yourself here... name, rig, location, any other info you want to share jeepuporshutup.com was created by off-roaders for off-roaders. Speak your peace, and no whining. If someone asks a tech question, don't just search it on the internet and provide an answer, offer your real-life expertise. Post wheeling opportunities... you can add the info to the calendar when you post a new event (just scroll down as you are adding the topic and message, and you will see the calendar info to add). Wheeling posts will be deleted 7 days after the event has ended. Post competition events, like TREK races, mud bogs, jamborees, etc... When adding a new event, scroll down below the message info and add details on the calendar so it's included on the main calendar page too! Posts will be deleted after 7 days of the event ending. Post pics/info of your latest and greatest vehicle or trailer fabrications! Post stuff you have for sale or if you are looking to purchase anything. Topics will automatically be deleted after 30 days of no activity, so refresh it if you need to. If you are no longer selling your item or found something you were wanting, please delete your topic. Share your deep thoughts... about mud, of course! Please don't use this section for negative bashing of other sites. This site is about WHEELING, and many of our members are also members of other sites - posts bashing other sites will be deleted. Threads will automatically delete after 30 days of no activity - if you want to keep it alive, post something before it expires!